The United Arab Emirates (UAE) was formed from a merger of six states in 1971 (Abu Dhabi, Ajman, Fujairah, Sharjah, Dubai, Umm Al Quwain), with Ras Al Khaimah joining in 1972. The United Nations (UN) estimated the country’s total population at a little over 9.4m in July 2017, with immigrants making up more than 88% of the total population. According to the CIA World Factbook, 86.1% of the total UAE population live in an urban environment and 97.6% has access to improved sanitation facilities. The UAE economy’s GDP was reported at USD $378.7bn in 2017, growing at 1.3%, which resulted in a 2017 per capita income of USD $68,200. The UAE economy is very open and oil exports support a trade surplus. 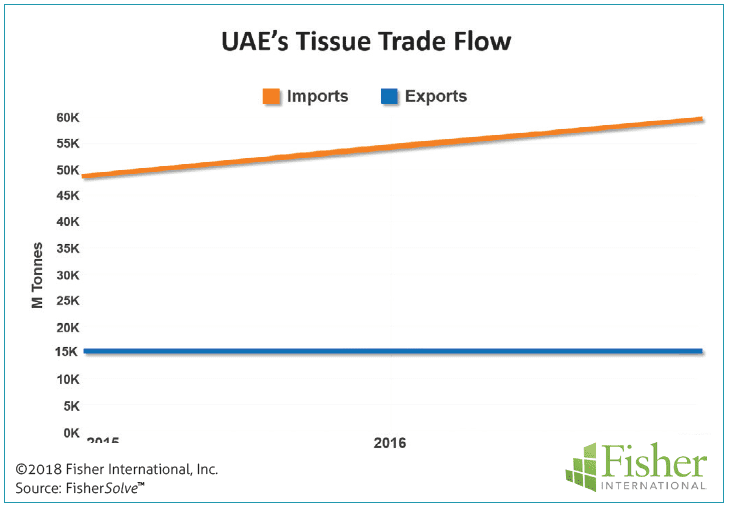 The UAE is importing tissue (parent rolls and finished products) at four times the rate of imports as reported in UN data (Figure 1). Tissue exports have been flat over the past three years and spread over many regions, with Australia, Cambodia and Laos as the top three partners. Tissue imports on the other hand have been on the rise, accounting for 60,000 tonnes in 2017 or about the equivalent annual production of one 5.8 metre high-speed tissue machine. Around 50% of the total imports come from Indonesia and most of the total import volume is parent rolls for converting. 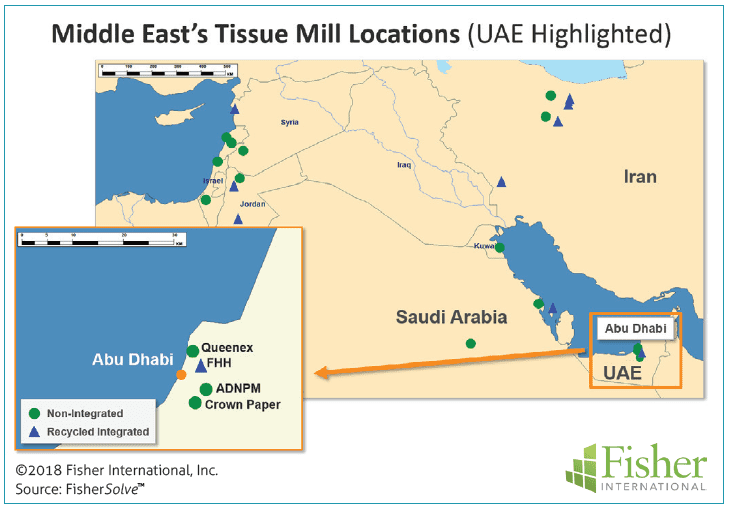 In Figure 2, we can see the location of all the tissue mills in the Middle Eastern region, with the four operating UAE tissue mills tightly clustered in-shore from Abu Dhabi. Three of the four UAE tissue mills use virgin kraft pulp, but one is integrated with recycled fibre. 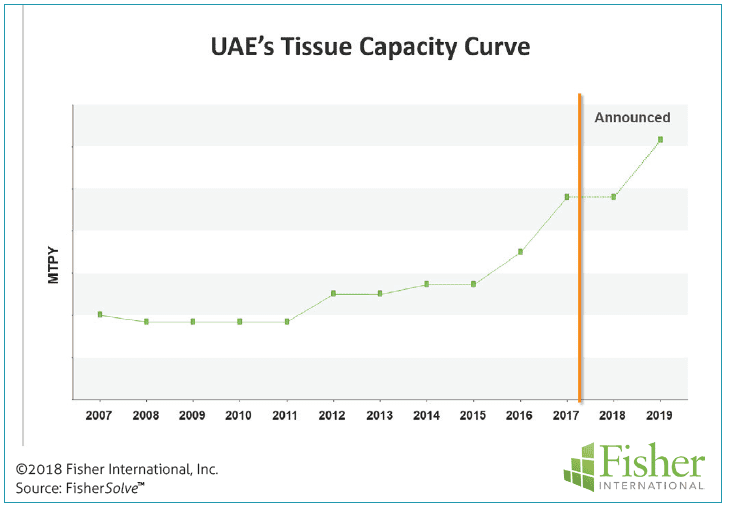 The UAE ranks number two in total tissue capacity with Iran as number one. Consumer product grades are the focus of UAE’s tissue producers. Consumer bath makes up 61% of production followed by facial at 28% (Figure 3). Commercial or AfH products are not used in this busy working economy. 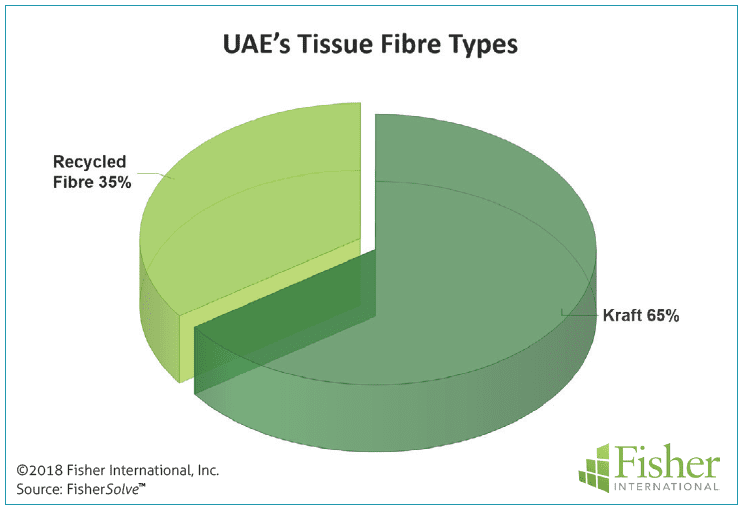 Most of UAE’s tissue production (65%) is based on virgin fibre (Figure 4). 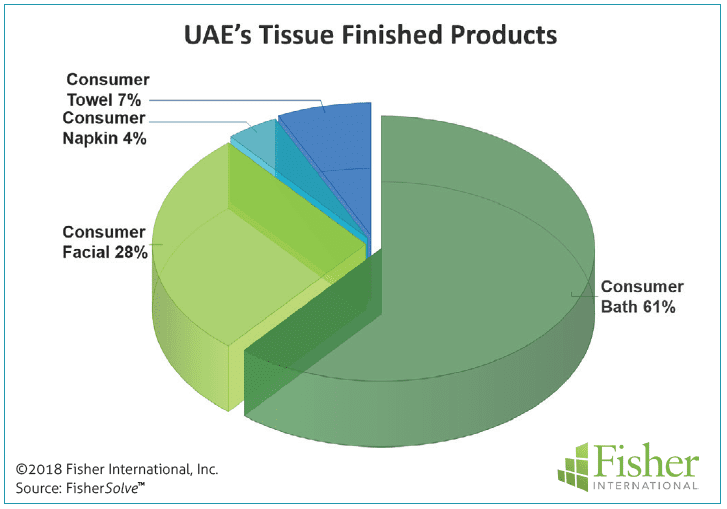 Figure 5 provides a more detailed look at UAE’s tissue furnish as used by finished product type. Although representing a small percent of tissue production, consumer napkin and towel products use a larger percentage of recycled fibre in their furnish. Consumer bath and facial products represent the majority of tissue grade volumes and use more hardwood pulp than softwood. The UAE’s tissue capacity has grown in the last 12 years through new mills and tissue machines. 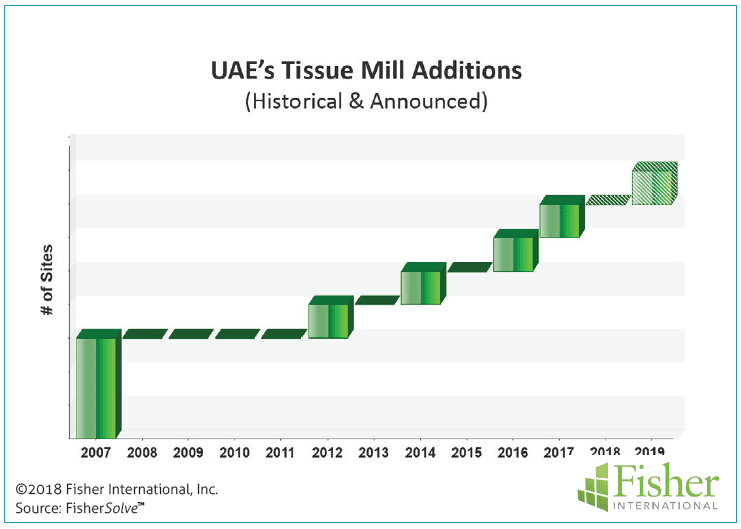 Figure 6 shows two new tissue mills were added between 2012 (Queenex Tissue) and 2017 (Al Nakheel Paper). These two mill additions brought the total number of tissue machines up to seven in 2017, and an additional machine is expected to come online in the Crown Paper Abu Dhabi mill in 2019 (Figure 7). Star Paper is building a new tissue machine, and Queenex is also planning a new tissue machine for 2020. Figure 8 shows the tissue capacity curve growth in the same period, growing by ~200%, from 100,000 tonnes in 2007 to about 300,000 tonnes in 2017. This represents a 9.8% CAGR (Cumulative Annual Growth Rate) over the period 2007 through 2019. 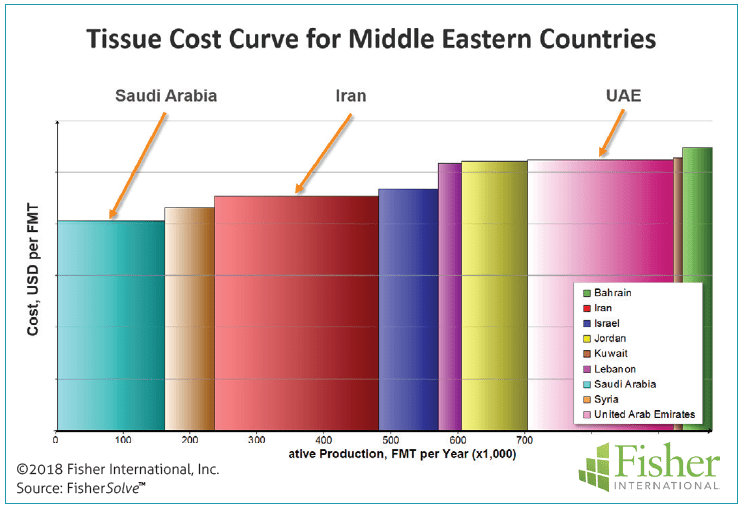 Figure 9 provides an average manufacturing cash cost and cumulative production ranking by country in the Middle East region. 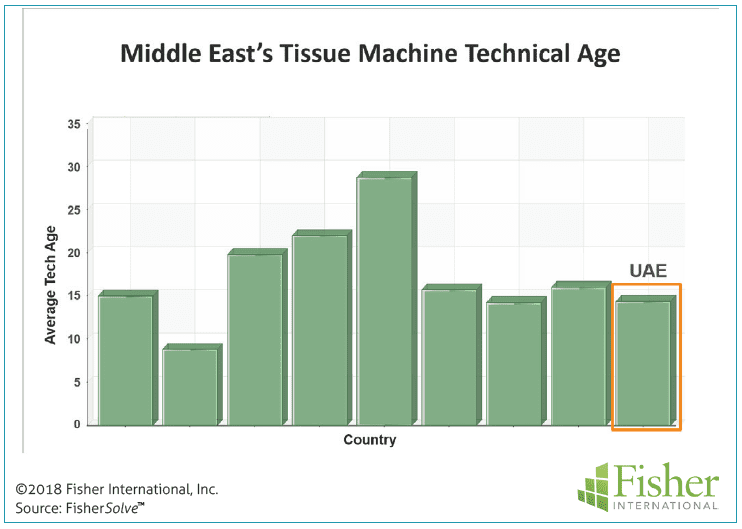 Looking at the UAE tissue industry compared to the rest of the region, UAE tissue mills have higher costs than Iran or Saudi Arabia, the other larger capacity producers. Figure 10 shows another way of rating production capability between countries in the region. 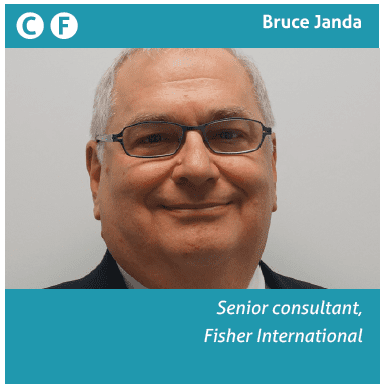 The cash costs of Figure 9 are replaced by the Fisher International Viability Index that takes into account not only the cash costs but the capital required, size, technical age, and productivity of the mills and machines relative to the region. Here we see that UAE ranked ahead of all the countries in the region after Iran. 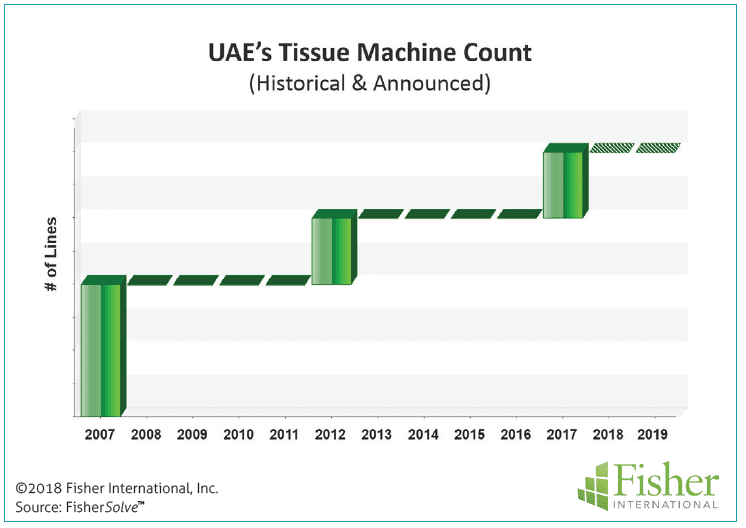 Figure 11 provides one source of the improved UAE viability ranking, with an average technical age for tissue machines less than 15 years. This will continue to improve with the new additions expected in the near term. 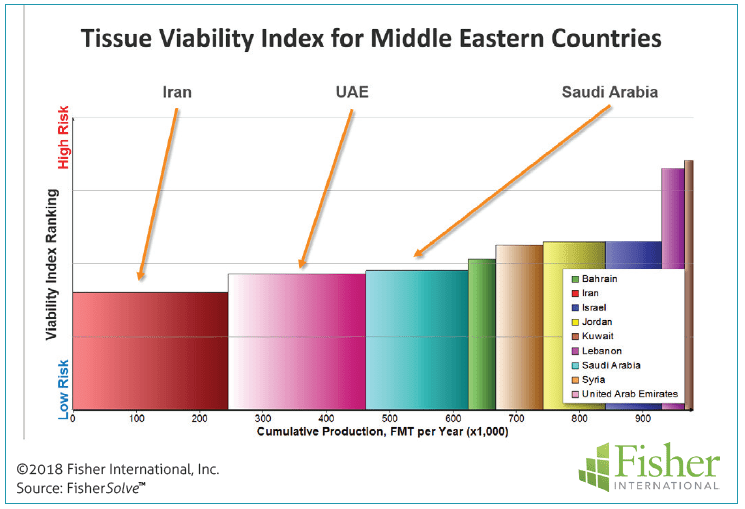 Figure 12 shows another method of evaluating UAE tissue business assets relative to the overall Middle East region. 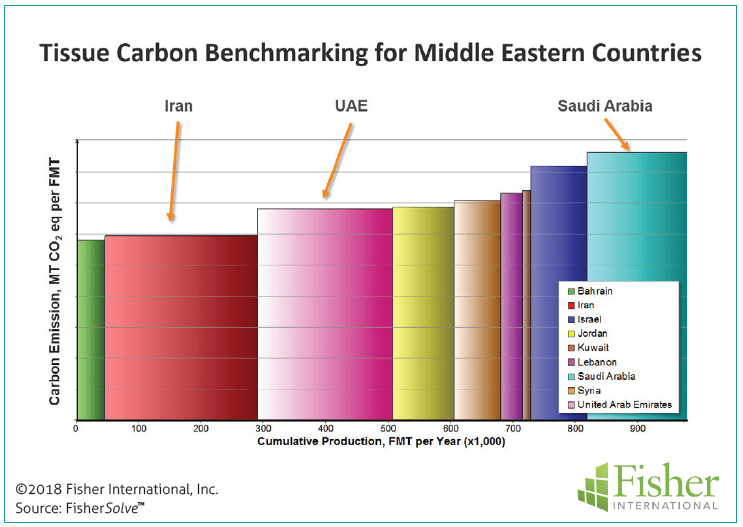 This chart uses the same format as the Figure 10 (Costs) and Figure 11 (Viability) but now examines the Middle East tissue industry by country regarding Total Carbon Emissions. Carbon emissions are expressed as MT CO2 eq per tonne of tissue production. Total emissions include raw materials, fossil fuel consumption, and purchased electricity. Carbon emissions are becoming a viability factor in some regions. This graph shows UAE switching places with Saudi Arabia with lower carbon emissions per tonne, indicating that some of the components of carbon emissions are related to technical age and productivity factors. 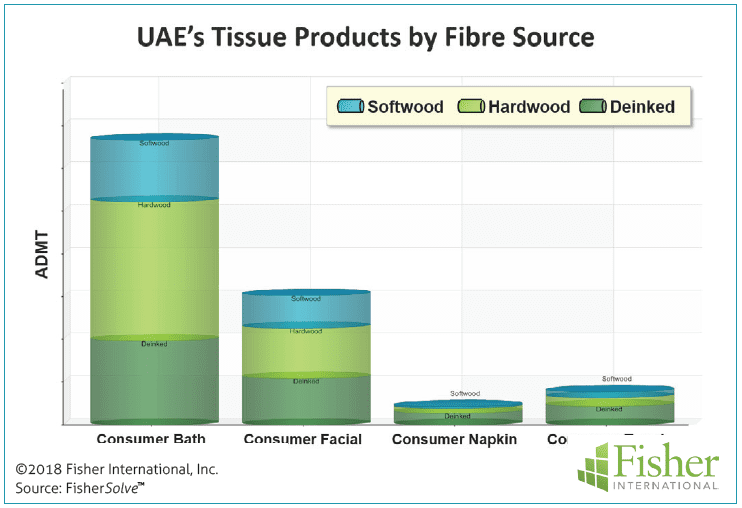 The UAE’s tissue industry is based mostly on virgin nonintegrated fibre and focused on consumer product grades. Tissue exports are small but imports, primarily parent rolls from Indonesia, exceed 20% of the domestic production. Current manufacturing cash costs are higher than average in the Middle East region, but viability and carbon emission curves suggest that domestic production is being well positioned to compete in the future. Share the post "UAE: Imports and costs dominate but emission curves suggest competitive position in future"